The amount of light affects the photosynthesis process in the plant. This process is a photochemical reaction within the chloroplasts of the plant cells in which CO2 is converted into carbohydrate under the influence of the light energy. The spectral composition of the different wavelength regions (blue, green, yellow, red, far red or invisible e.g. UV or IR) is important for the grows, shape, development and flowering (photomorphogenesis) of the plant. For the photosynthesis, the blue and red regions are most important. The timing / light duration which is also called photoperiod is mainly affecting the flowering of the plants. The flowering time can be influenced by controlling the photoperiod. 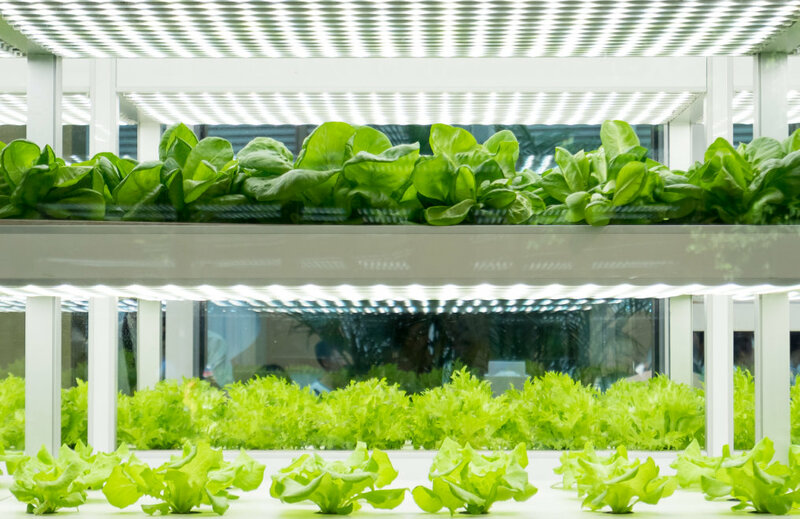 Every plant has its own light requirements, therefore plant-specific ‘light recipes’ are being researched extensively. 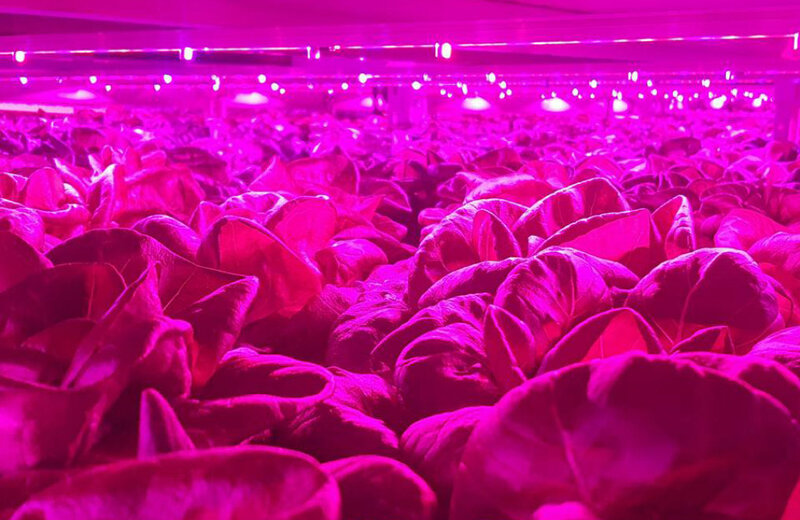 By using the right light, it is possible to influence the development of plants, from their growth patterns to their appearance and nutrient content. What are the optimum wavelengths? 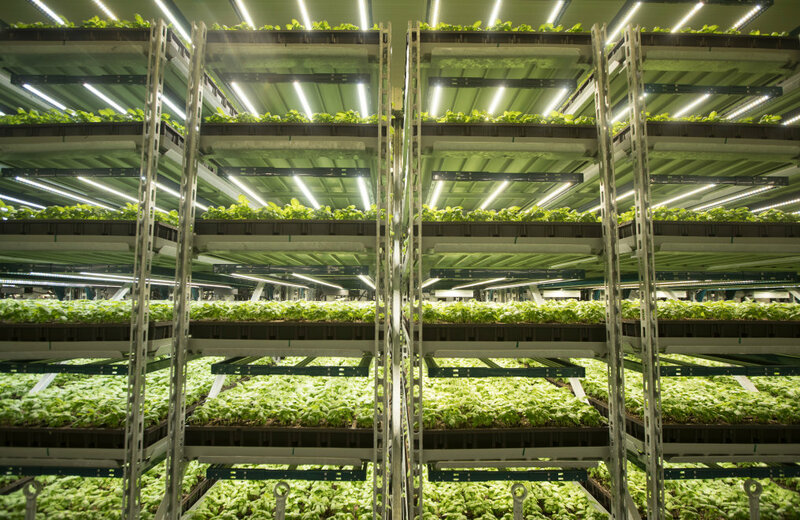 Horticulture lighting is focusing on LEDs with mainly 450nm, 660nm and 730nm wavelength. The 450nm and the 660nm are providing the energy for the plant to life and grow. The amount of light is not measured in lumen but in amount of photons. 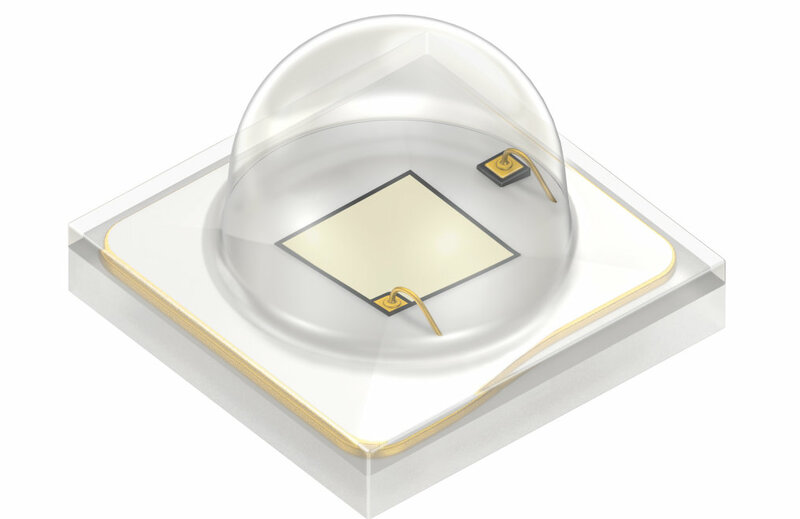 The common unit in horticulture lighting is µmol/s in the range of 400-700 (photosynthetically active region). The 730nm is necessary to control the growth of the plant.